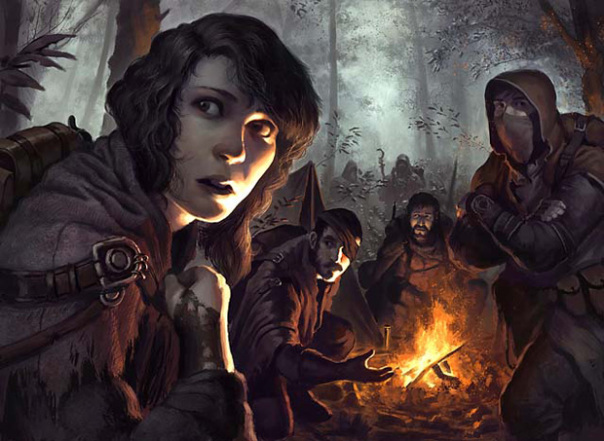 “You’ve shared a ghost story with us, Oreiron, now I’ve one to share with you.” Once we return to the safety of the campfire, I lay out the tale of the events in Shadfeld, only this time we don’t exclude the part with Kezia and the reading. Bonie seems surprised by the revelation, but not offended. More taken aback by the queerness. “We all have our secrets,” she admits. Oreiron has never heard of anything like it, nor anything that provides any more insight into the situation, and they both seem content to try and comprehend the story and any meaning the encounter may have. I explain the meaning of some of the cards to Selben—relating the Beast to Carcerus, the Traitor to Korvich—explaining that the rest of the cards are, as of yet, puzzles to be discovered. I’m curious to see if he has any reaction. Selben picks up the Necromancer card, staring at it intently and shaking of what appears to be a moment of weakness or confusion, as if he has some attachment to the card. I quickly shuffle the cards into a pile to ease the tension. After an awkward silence, we resume our watches, though I can’t help but shake a lingering desire to run into the woods at night in the hopes that he finds Kezia’s progeny once again. The forest remains silent the remainder of the evening, as if nothing had happened. When we awaken, it’s to our discovery that Bonie is no longer among us. We call out and she returns to camp, bearing a spent torch. “They weren’t ghosts, they were real.” Apparently, she has been carrying out the exploration that has been nagging me all night. 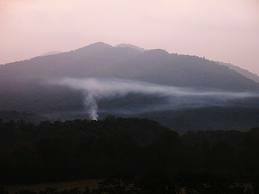 Behind her, in the Lurkwood beyond to the east, a plume of smoke rises from a hill. “Come look, it’s not far." We crest the hill, in the same direction of our journey the previous night. From atop the hill, the vantage point is fantastic, granting miles of visibility. East of the hill, there appears to be a bonfire plume. I join Bonie with Selben, looking back to Audric and Oreiron. “You coming?" We traverse the wood towards the plume of smoke, reaching a small hill where the bonfire is not far beyond. We decide not to split the party and continue. Though the trees become denser, most have fallen by this point in the year and visibility is good. Beyond, we discover a small encampment of several crude tents with figures moving about. None appear to be obviously warriors, several are women or older folk, so we approach. One has red hair, potentially the Kezia from the night before. As we get closer, we get the sense that we’re being watched and discover a pair of guards or huntsmen with longbows pointed at us. They shout something in a language we don’t understand, and I try to defuse the situation. The men don’t seem to understand, but our shouts are heard by the red-haired woman—it is indeed Kezia. She explains that we are friends, and bids us to enter the encampment. There’s perhaps a half-dozen crude tents, all surrounding a large bonfire with a roasting spit, all hastily constructed and obviously signs of a nomadic community. A large, gruff man emerges from one of the tents, approaching. I inquire of Kezia his name, and she reveals it to be Crahdorn, leader of their tribe. There is some disdain evident in her voice. I ask if there’s any appropriate greeting, but she ignores the question and starts speaking to Crahdorn in the strange language. Kezia’s tribe was split into two groups, the larger seeking the sanctuary of Griffon’s Nest, a far-off place of succor for her people. The smaller group, Kezia’s, was too weak to catch up and they’ve been stranded in this part of the forest. Less than a dozen of their original number remains. The dance in the forest last night was a prayer for strength to rejoin their kin. She reveals that her brother, leader of the tribe, is with the larger group, leaving Crahdorn as the de facto leader of the remnants. I ask her how it is that she speaks our language, but no others do—she reveals that she can understand some languages intuitively, without study. I inquire what her folk call themselves, and she hesitates before answering “The Anaithnid.” If there is significance in that name, we don’t know it. Kezia reveals that her clan venerates Uthgar, the Battlefather. It is a faith with which I am familiar, sharing many aspects with the parts of Malaran faith that I relate to. Crahdorn seems anxious for an immediate response, so I challenge his authority, telling him to see to his camp and leave this situation to us. He stands down, at least for the moment. From the state of the ill-struck man, Kezia explains that it’s likely he’ll not live for much longer, perhaps a day. Audric attempts to bring the healing magic provided to him by his goddess Mystra to bear—the man looks refreshed, with a renewed vigor, but it does nothing to combat the advance of the disease and the man is still clearly in pain. I bring a different spell to bear, testing a blessing of Malar to dispel any evil that may have hold over the man. I burn a bundle of twigs and grasses, spreading the smoke over the man’s head and lay a hand upon his forehead, but no relief is evident. Audric attempts a divination to discover if the affect is magical in nature, and it appears that it is not. 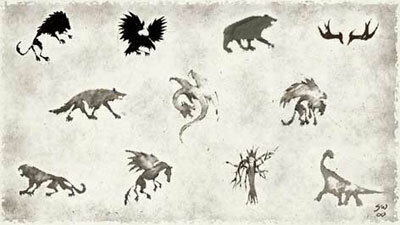 We are a granted a day by Crahdorn to rest and recover spells, Audric willing to attempt on more prayer in the morning. I ask Kezia if she has any more thoughts about our conversation from the previous night. “Sometimes I have memories of people I’ve never met, and events I was never a part of.” She reveals that we weren’t one of those memories, but she was nonetheless drawn to us last evening, and again when she saw us upon the hill today. I feel like there’s some significance to the words but can’t piece together anything meaningful. Around the middle of the day, there’s a commotion in the small community. One of the women has discovered the rash upon her arm. Kezia doesn’t think she was wounded, but the woman discovers a small cut on her arm, revealing that she cut herself on a briar when retreating from the hill last night. “To this point, it has been only men.” The camp seems shaken by the discovery. Weapons are drawn hastily, Audric and I but a moment behind Bonie’s own blade, and Crahdorn exits his tent. Kezia confronts him, saying something incomprehensible and perhaps mystical. Unsure whether it’s a spell or some other form of compulsion, we ask Kezia for an explanation. She replies that “Crahdorn says he will not lay a finger on any of our group this night.” Not convinced at all of Crahdorn’s integrity, I cast what protections I can upon our camp as well as outside Crahdorn’s should his intentions prove contrary to his vow. Fortunately for all, nothing untoward happens throughout the night. Audric prepares Mystra’s blessing, one of the most powerful yet the warrior has brought to bear, and we all wait, tense. The entire camp shares our anxiety and anticipation. When the spell is cast, there is no visible effect. Kezia asks what happened, sensing our disappointment, and Audric explains that we’ve done all that we’re capable of doing. Crahdorn overhears and becomes enraged, barking out more orders, presumably angry at the inefficacy of our help. He gestures again towards Bonie. Kezia translates, saying that he demands a sacrifice for our failure, and that we’re to be detained. We stand, ready to defend ourselves, but two of Crahdorn’s men intervene with bows. Audric and I immediately bring the wrath of our respective gods to bear. Not wanting to slay the entire encampment, I inform Kezia that anyone who interferes will die. Whatever Crahdorn’s intentions, they will not come to pass this day. A wave of rats is summoned forth to attack Crahdorn, gnawing at the exposed part of his lower body. I freeze the air around his limbs, paralyzing him amid the tumult of voracious rats. The bowmen, shocked by what’s happening, fire two awkward arrows but they are far from their mark, as if the men are almost afraid to fire. The villages of Xantharl's Keep and Grunwald lay betwixt the city of Mirabar and the hamlet known as Longsaddle. 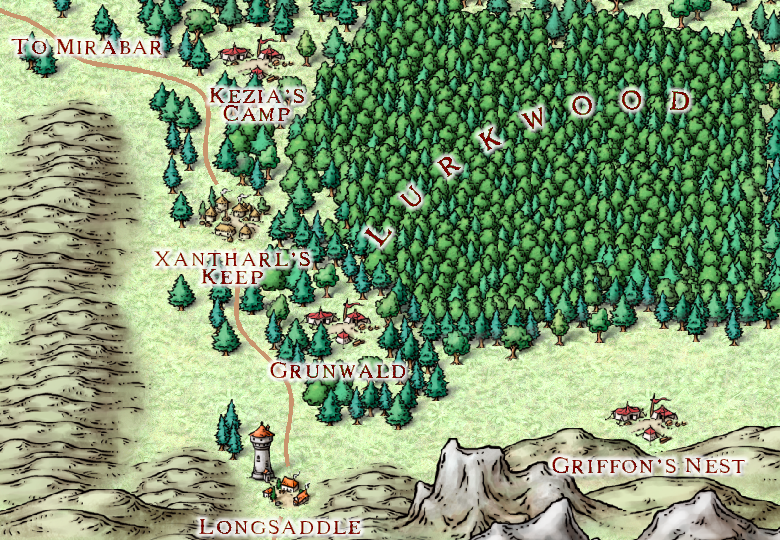 The safe haven called Griffon's Nest lay somewhere beyond the Lurkwood.